As expected yesterday evening another spectacular eruption! Very high explosions and a ‘lava flooding’ (I wouldn’t call that a ‘lava river’, it was too wide!). Here’s a Boris Behncke photo and first webcam image by Klaus Henning. It seems Etna Walk was there so we’ll wait to see their photos (we suppose extraordinary as usual). Andreas Brenneke and Fabio Santanocito could be vampires. They stay awake all night waiting Etna’s blood. This night they had their victim: probably Pit-crater again? 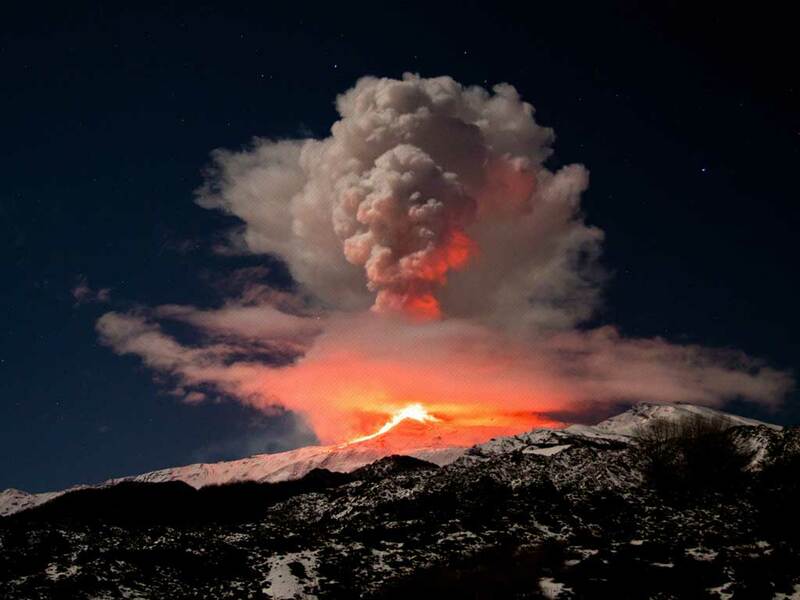 UPDATE: Could we miss another extraordinary Etna Walk photo?